petition: A'ole TMT! Keep out TMT construction from sacred Mauna Kea, Hawaii Island. A'ole TMT! Keep out TMT construction from sacred Mauna Kea, Hawaii Island. On the summit of Mauna Kea - on the "Big Island" of Hawaii - construction of the Thirty Meter Telescope (TMT) was proposed in 2009. Five nations: the US, Canada, India, China(People Republic of China) and Japan are joining participating. TMT will have a 30-meter lens, will be 18 stones(180 ft) tall and its cost will be about 1.4 billion(US dollars). For science, observatories are a source of knowledge - knowledge that is ever expanding and ever renewing. For Hawaiian natives or traditionalists, however, the source of knowledge and assurance about the world is different - unchanging, eternal and sacred. So, observatories are - to traditionalists - viewed as a desecration. What we see today is thus a painful cultural collision on the summit of Mauna Kea. The TMT Project must move to an alternative location - for example, the Canary Islands. As time has passed with TMT news evolving and changing, my understanding of TMT has deepened and my consciousness has sharpened. It is strange to look back when I was supportive of TMT in the beginning and then, slowly losing that support over time and finally arriving at the conclusion to oppose TMT construction. I have seen too many and too frequent cases of indiscriminate worship of science. The TMT project is, no doubt an exciting astronomy adventure. But what is in question is the choice of the mountain. 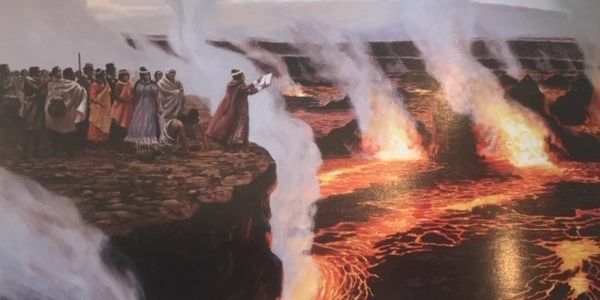 Native Hawaiians and traditionalists view the construction as desecration based on their ancient spiritual faith and are desperately opposing the construction. Shouldn't our community sincerely respect their wishes: those who have been here in the Hawaiian islands practicing the ancient faith? Science does not teach us morals. My belief is that morality has to lead science and not the other way around. Let's ask ourselves "what is it then that can inspire us to be moral?"